A seductively lush perfume of water jasmine, sweet honeysuckle, neroli, and mandarin blossom. 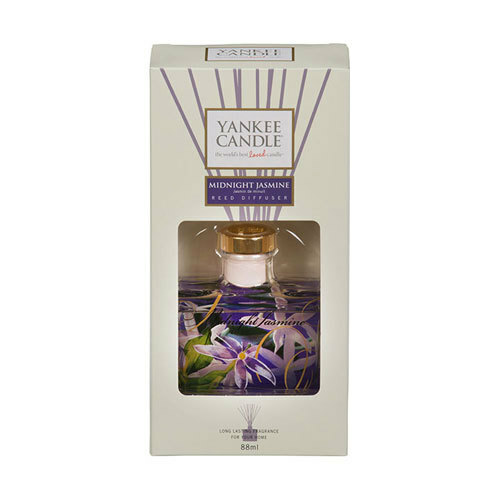 This attractive reed diffuser continuously delivers the same long lasting, true-to-life Yankee® fragrance you expect from our best loved candles. 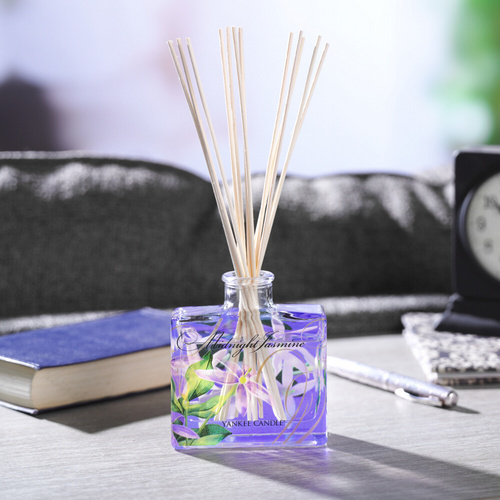 All natural rattan reeds wick fragrance oil into the air, providing up to 8 weeks of consistent Yankee fragrance. The distinctive, hand decorated glass accents any decor with style and makes a great gift at any time of year!